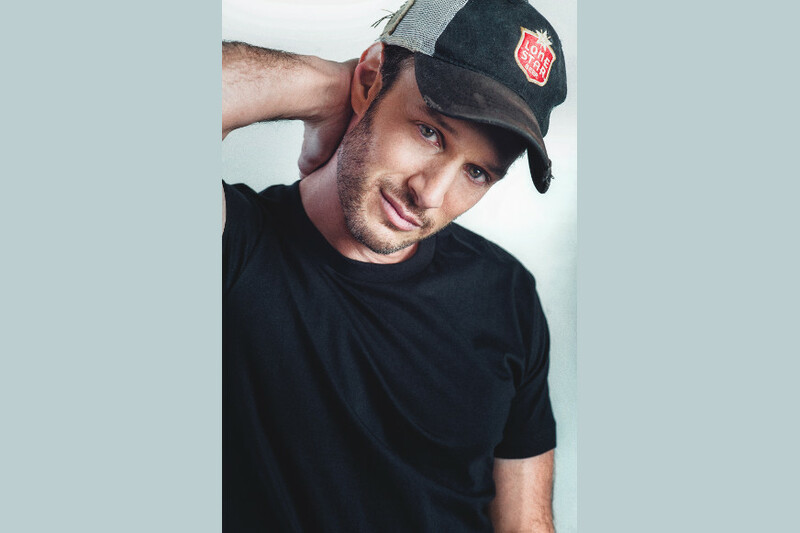 Comedian, actor, and writer Josh Wolf has become one of the most sought after personalities in comedy today. From adding his quick witted commentary on comedy round tables, to becoming a New York Times Bestselling Author, writing on hit television shows, and headlining stand-up comedy tours across the nation, Wolf has proved time and time again he is one of the most dynamic and multi-faceted comedians in the entertainment business. Wolf is currently a regular round table guest and writer on the hit E! series "Chelsea Lately," and recently appeared as a performer on the new E! series "After Lately." In March 2013, Wolf will debut his latest book, "It Takes Balls: Dating Single Moms and Other Confessions from an Unprepared Single Dad" [Grand Central Publishing.] Funny and brutally honest, the book details Wolf's adventures as a struggling stand up comedian, while juggling being a single parent in Los Angeles. Born in Boston, Massachusetts and raised in Amherst- Wolf had a love for comedy and making people laugh from an early age. As a teenager, he took to the stage in the Boston area, performing his first stand up show when he was 15 years old. By the time he was in his mid-twenties, he was ready for a fresh start, and moved to Seattle, Washington in hopes of expanding his comedy career. He was able to get more stage time and practice in the comedy world, as indie musicians were dominating Seattle's live entertainment scene. When he was 28, Wolf decided to make the move to Los Angeles. After several years in Seattle he had made his mark in the local comedy circuit, and wanted to play with the big boys of comedy. He quickly discovered it wasn't any easier being a small fish in a saturated comedy pond, than a big fish in the entertainment pond of a port city. In 1999, Wolf got his first big break, performing a one man show at the HBO Workspace- which landed him a talent deal at 20th Century Fox, and a deal for his own television series with ABC. A deal with NBC soon followed. While testing the waters on the television front, Wolf began writing for TV, and quickly found it was another aspect of the entertainment business that he loved. He wrote on numerous sitcoms including "Yes, Dear," Will Smith's "All of Us," and "Cuts," starring Shannon Elizabeth. He soon decided he wanted to dedicate all his time to writing, and stepped down from stand up, and appearing on camera. In 2006 Wolf returned to television, appearing on the fourth season of NBC's "Last Comic Standing." This also marked his return to sitcoms, recurring on the hit series "My Name Is Earl" from 2006-09, and recurring and writing for "Raising Hope" in 2010-11. 2009 was also a banner year for Wolf, as he started making regular appearances on Chelsea Handler's hit E! television series "Chelsea Lately," and he toured nationwide with stand-up comedy sensation Larry the Cable Guy. Wolf also found a way to tap into his passion for sports, and hosted two seasons of "The College Experiment," a comedic weekly online college sports show for Fox Sports. In 2011 Wolf ended his touring with Larry the Cable Guy, and committed to appearing on "Chelsea Lately" once a week, while in conjunction writing for the show. He also became a New York Times Bestselling Author, for his contributions to Chelsea Handler's bestselling book "Lies that Chelsea Hander Told Me." In 2012, Wolf landed a book deal with Grand Central Publishing to pen his first book written solo, "It Takes Balls: Dating Single Moms and Other Confessions from an Underprepared Single Dad." He also recently wrote a screenplay feature for Adam Sandler's production company, Happy Madison. In addition to his work on "Chelsea Lately," his stand-up comedy tours, and his book, Wolf also works on a podcast with fellow "Chelsea Lately" round table member, Ross Mathews. Airing on The Road Hop Network, "Josh and Ross" showcases the guys sharing their unique view on pop culture and the news of the day.